Our Choices for All-Star Game's 'Last Men In' - The Point Data-driven hockey storytelling that gets right to the point. The NHL has decided the let the fans choose the last player named to each division’s All-Star team by voting from a list of candidates online. We’re here to tell you who is most deserving of your vote from the Atlantic, Metropolitan, Central and Pacific divisions. We’ll start in the East. Candidates: Patrice Bergeron, Jeff Skinner, Dylan Larkin, Aleksander Barkov, Mark Stone, Brayden Point, Morgan Rielly, Shea Weber. This may be the most competitive of any division with all eight candidates deserving of an All-Star nod. Until someone knocks him from his perch, Bergeron is still the best two-way forward in the game. This play at the Winter Classic sums up all you need to know about how good he is at both ends of the ice. Skinner is 2nd in the league in goals and Barkov and Stone are Selke trophy candidates. Rielly leads all defensemen in points and Shea Weber has 11 points in 16 games after missing almost a full year with injuries. 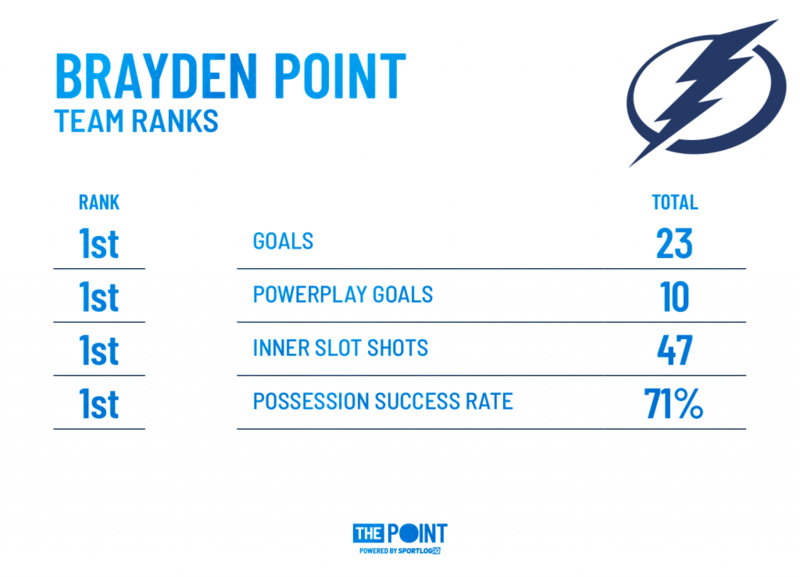 However, our vote goes to Brayden Point of the Tampa Bay Lightning. Point is 7th in scoring with 52 points in 40 games and is John Cooper’s match-up center on the best team in the NHL. Somehow, teammate Steven Stamkos, who is 29th in league scoring is already on the team so it’s only fitting that the 2nd best forward on the team be represented as well. Point consistently gets to the right areas on the ice to produce offense and is responsible with the puck, as seen in his possession success rate which measures how often he makes a successful play with the puck. Here are just a few key areas where Point leads his team, the best and highest scoring team in the NHL. Candidates: Teuvo Teravainen, Nick Foligno, Kyle Palmieri, Anders Lee, Mats Zuccarello, Jakub Voracek, Nicklas Backstrom, Kris Letang. The field isn’t as deep in the Metro but there are still some deserving candidates. Backstrom is the only player in the top 25 in scoring but our vote goes to current Norris trophy candidate, Kris Letang. 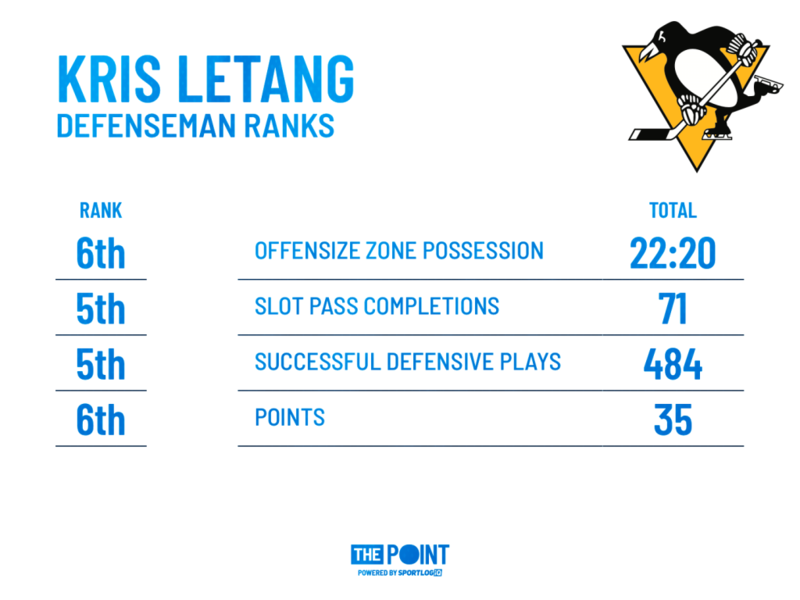 Letang is 6th in defensemen scoring with 35 points in 38 games and has been a force on the back-end in Pittsburgh. His 16 powerplay points are tied for 4th among defensemen on a Penguins powerplay that ranks 5th in the league. Candidates: Jonathan Toews, Gabriel Landeskog, Tyler Seguin, Zach Parise, Filip Forsberg, Vladimir Tarasenko, Patrik Laine. Another deep field but the names that stand out to us are Landeskog and Laine. Both players have 24 goals, tied for 4th in the league. However, our vote goes to Landeskog who is much more than a 3rd wheel on the Avalanche top line. Landeskog has 45 points, tied for 19th in the league and 14 more than Laine. 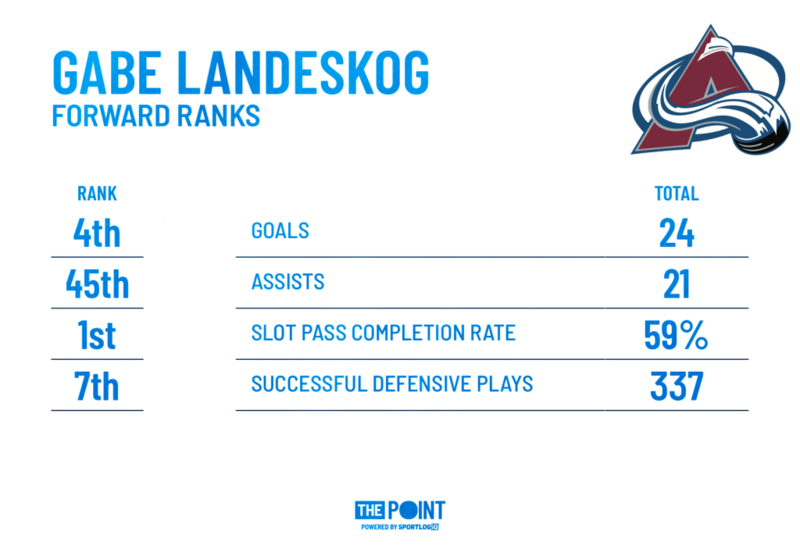 While Landeskog isn’t the most skilled player on his line you can certainly make a case that he’s the most complete. The former Calder trophy winner does a terrific job forcing neutral zone turnovers, creating additional offensive opportunities for his team, ranking 6th among forwards in neutral zone stick checks. Barkov ranks 1st. Landeskog’s defensive acumen can also be seen in the amount of passes he blocks. Ranking top-5 in goals should be enough to get you to the All-Star game. It wasn’t in Landeskog’s case but his 200-foot is what should separate him from the other candidates on this list. Candidates: Ryan Getzlaf, Leon Draisaitl, Anze Kopitar, Logan Couture, Brock Boeser, Jonathan Marchessault, Oliver Ekman-Larsson, Mark Giordano. Mark Giordano isn’t already going to the All-Star game? Vote him in. Giordano shouldn’t go because he’s 35-years old and having a great season, though that does make what he’s doing all the more impressive. Giordano should go because, in our opinion, he’s been the best defenseman in the NHL this season. Giordano ranks 2nd in assists among defensemen and 3rd in points while also ranking top 15 in ice-time. The Flames captain leads the NHL in plus/minus (if that’s your kind of thing) and has been a driving force behind the Flames success this season. Calgary is 1st place in the division if you haven’t checked the standings lately. An all-situations player, Giordano has played over 700 even-strength minutes, 100 powerplay minutes and 100 shorthanded minutes. 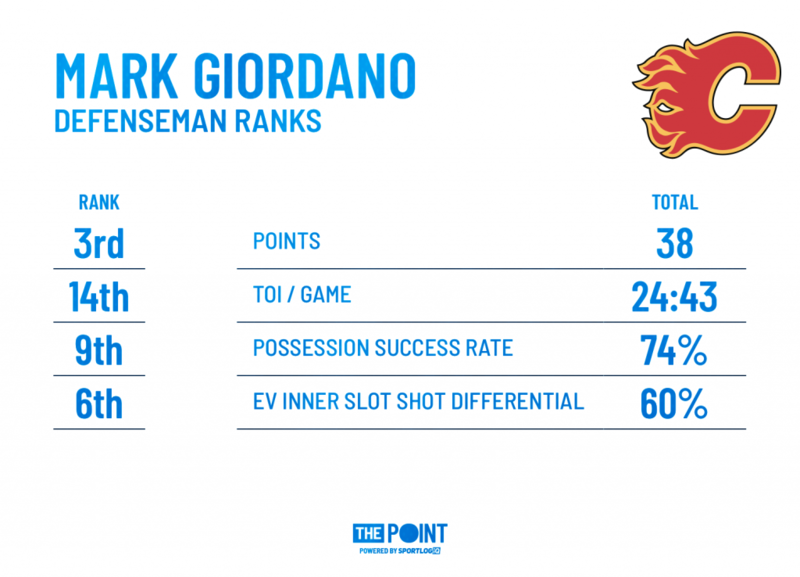 Giordano rarely makes a bad play with the puck, ranking 9th among defensemen in possession success rate, making a successful play on 74 percent of his possessions. The Flames consistently drive impactful play while he is on the ice as Giordano ranks 6th among defensemen in inner slot shot differential at even-strength. This guy will likely be in Vegas for the NHL Awards at the end of the season. He should be in San Jose for the All-Star game.